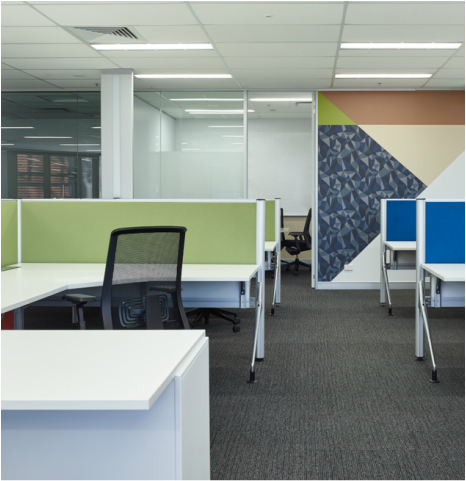 This office fit out provides space for 130 staff over three floors of an existing CBD building. 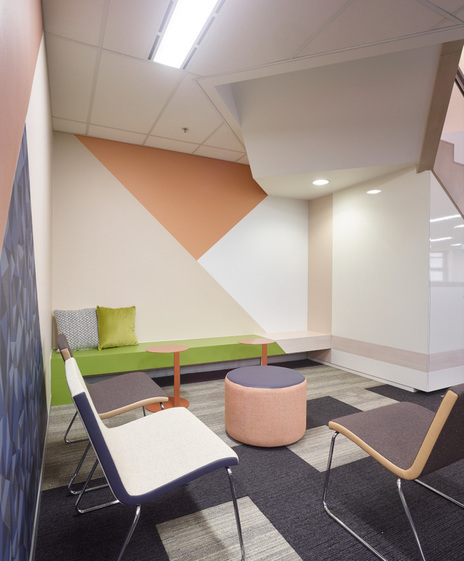 Altering the existing floorscape to accommodate for the new tenant's needs the design presents a wholly new graphic aesthetic, intermingled with existing colour schemes, materials, and office furniture. The scheme presents office design optimised for efficiency, flexibility, and maneuverability. 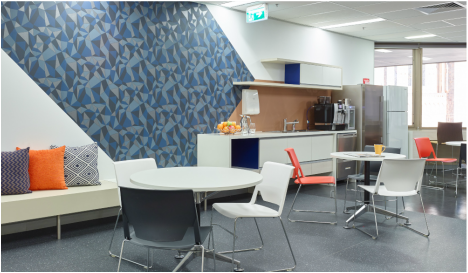 Recently completed, the fit out now showcases the bold graphic motifs integrated throughout the scheme that cunningly link each space as one; from hallway to bathroom, kitchen to reception. .
Signature colours flow throughout, juxtaposed with predominant textures and the consistent angular patterning.